Get 2, 4 or 6 vacuum storage bags. The perfect way to store bulky clothes, curtains, bedding and towels! 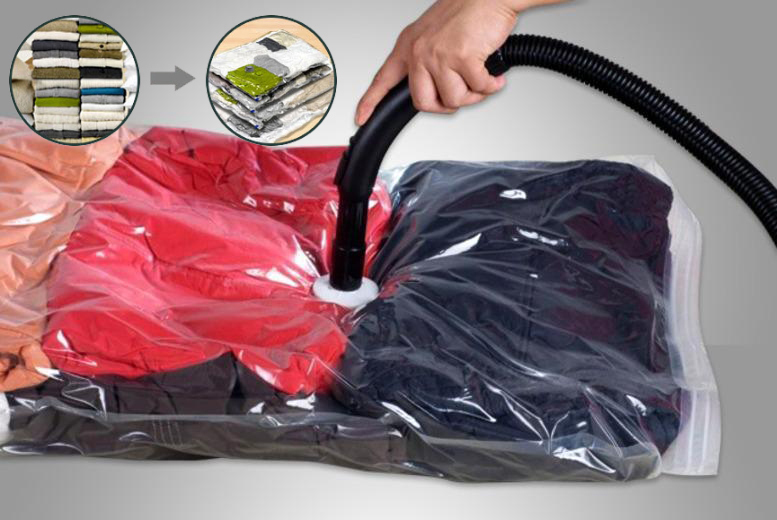 Work with any vacuum cleaner – simply attach the nozzle to the bag.